Velvet Ants will keep your kids occupied and answering questions like these: How did these insects earn the name “velvet ants”? How can such a tiny insect get the nickname “cow killer”?Plus many more! Perfect for curious little minds! This is only available as a downloadable ebook. What can we learn from a large, furry, red ant? How can such a tiny insect have a sting fierce enough to give it the nickname “cow killer”? Come along with Professor Ana Lyze and her team as they explore the dangers and defensive design of velvet ants. Join the team as they dig deeper into the sometimes scary issue of death and examine what God’s Word says about it. This wildly creative study employs all the imagination, research, and attention-getting details that hook your kids from the first page to the last. Spark your budding entomologist’s interest in creation through this engaging and interactive study. Turn your child’s fascination with the strange things that God has made into an enthralling learning adventure! 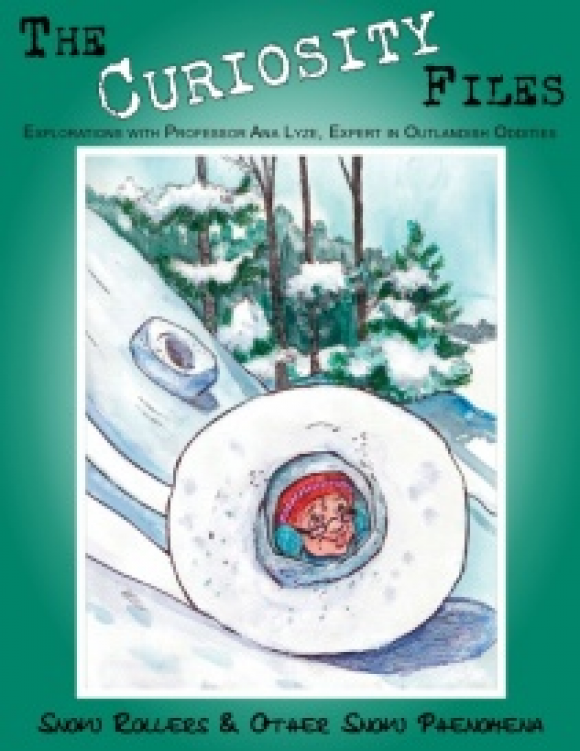 The Old Schoolhouse® presents another edition in the unforgettably curious downloadable series . . .
Want to switch on the excitement with science investigations and fun learning? 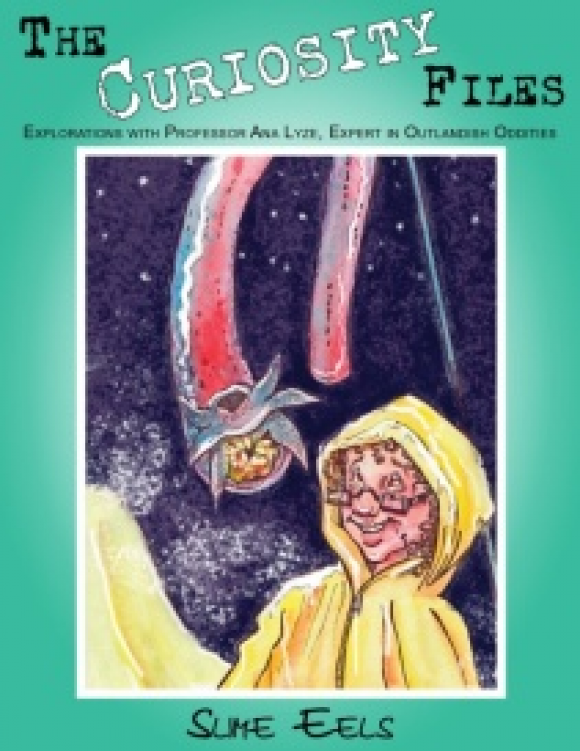 Introduce your child to The Curiosity Files™ and discover some unusually interesting subjects . . . you know, the unfamiliar, zany, and strange things of nature that kids are so attracted to. 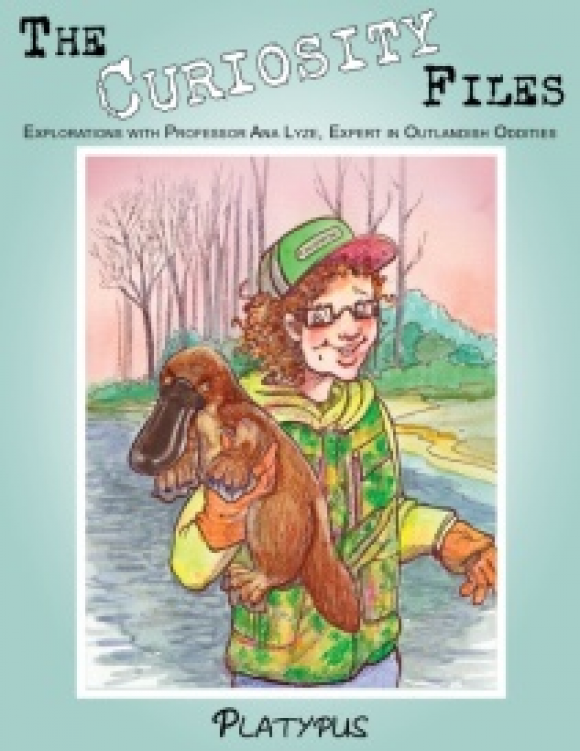 Children just love learning about outlandish creatures, and they’ll be more than amused to learn “Everything You Never Wanted to Know About Velvet Ants”! 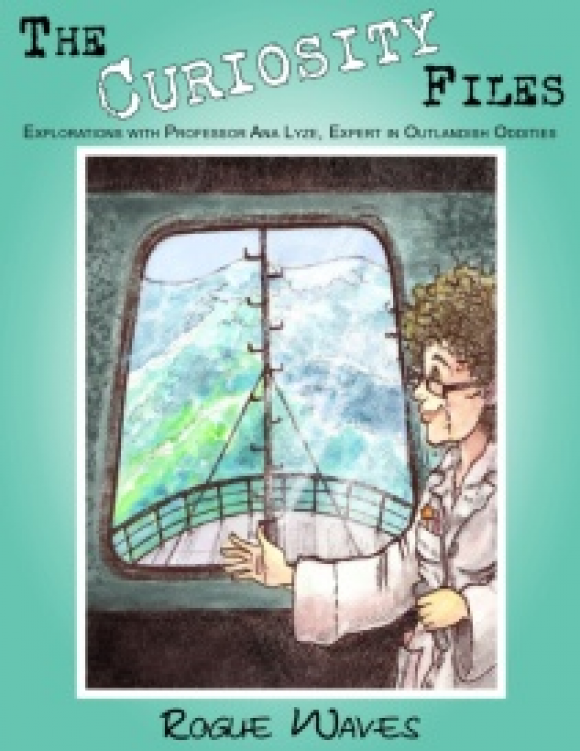 Professor Ana Lyze and her research “spy” team specialize in the obscure, the abnormal, and the bizarre. They search land and sea for oddities—outlandish insects, rare diseases, unique gems, and more—and make each one a star. With The Curiosity Files™, children will become educated about subjects they’d never find otherwise. Did you know that the velvet ant is actually a type of wasp? Did you know that velvet ants use their coloring as a defense? How did these insects earn the name “velvet ants”? What kind of soil do velvet ants prefer? Where are velvet ants found? What can male velvet ants do that female ants cannot? How many cows are known to have been killed by the cow killer? With this unit, kids will think creatively and exercise their minds while exploring many interesting and related topics. Kids will encounter The Write Stuff, with grammar and writing activities such as composing an essay and learning what makes a book a classic. Using the velvet ant theme, students will practice math concepts by using simple multiplication to solve word problems, work more challenging multiplication problems to calculate lawn measurements, divide shapes into thirds and work with a calendar. Plus, there are two levels of vocabulary lists and spelling worksheets—elementary and middle/high school. In the Lab will bring smiles as your kids use their newfound knowledge. Create a Display Board, Build a Velvet Ant Model, or enjoy the great outdoors with an I Spy Nature Walk. You’ll find a Good Old Days history lesson, along with a history-based writing assignment and creative map work. Other hands-on crafts and activities await your child. With lots of game ideas to choose from, you’ll have the whole family involved, with all the giggles you can imagine! Enjoy some creative crafting as you make an Egg Carton Ant! Your little ones will have loads of fun making an Ant ARTchitecture or eating yummy Ants in Sand or Ants on a Log. 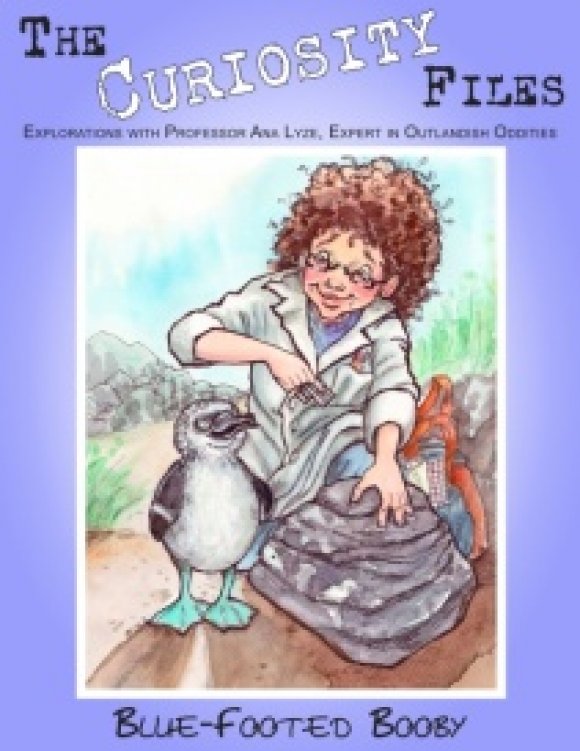 With The Curiosity Files™, you’ll explore science through engaging information, puzzles, quizzes, games, and funtastic activities to keep your child actively learning in a unit-study format. 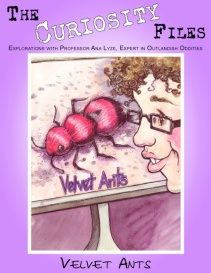 Add to your Fact Files collection with velvet ant snippets. Begin bymaking a notebook or lapbook folder and continue adding on to widen the study with more amazing topics in this wonderful series. It’s a complete learning encounter you’ll be glad to provide for your students! Learn creatively with 89 pages of adventure and intrigue! Velvet ants are one more fascinating and frightening example of how God produces defensive abilities in the delightful appearance of His creations. Have fun exploring this unique insect today! Children just love to study those distinctive but amazing creatures from far away islands! Its Spanish-derived name bobo may mean “stupid,” but this friendly evolution stumper will teach you a few things about God’s idea of wisdom! This is available as a downloadable ebook only.